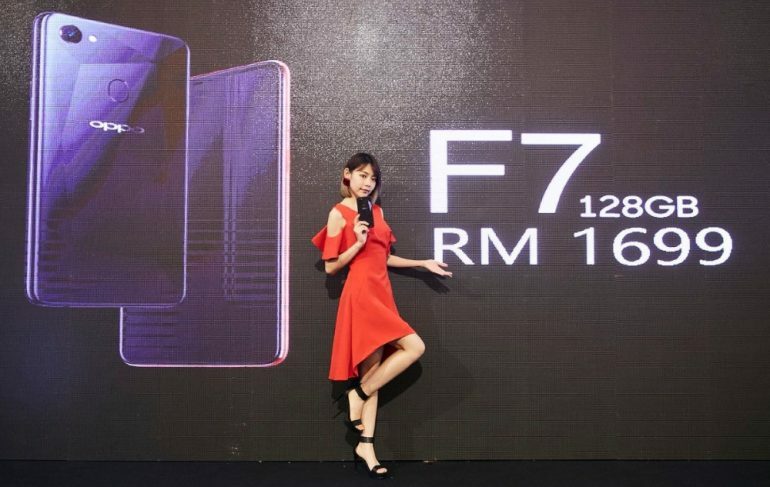 After launching the standard version of OPPO F7 into Malaysia last week, now it is time for the second F7 variant to make its way into our market. Armed with more RAM and larger internal storage, this particular model is available for pre-order starting from today. Aside from its 6GB RAM and 128GB internal storage, the rest of the specifications for the F7 128GB are identical to the standard F7 model. You are still looking at 6.23-inch full HD+ display, MediaTek Helio P60 processor octa-core processor running at 2.0GHz, and pre-installed with ColorOS 5.0 which is based on Android 8.1 Oreo operating system. 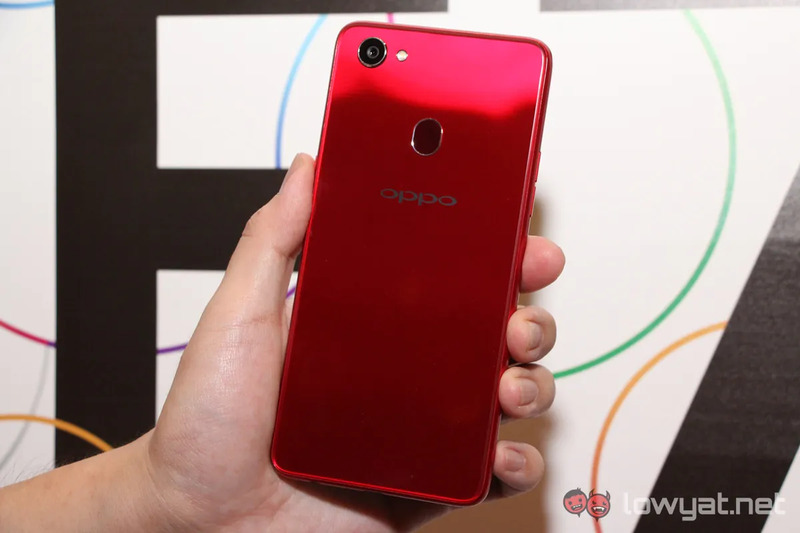 This applies to its photography gears as well which include the 25MP f/2.0 selfie camera One of the phone’s most touted feature, the camera is also armed with hardware-based HDR capability and the latest version of OPPO’s AI Beauty Technology. The F7 128GB also features a 16MP f/1.8 rear camera with AI Scene Recognition capability. Available in Red and Diamond Black colorways, the OPPO F7 128GB model goes for RM 1699 which is RM 300 more than the standard F7. 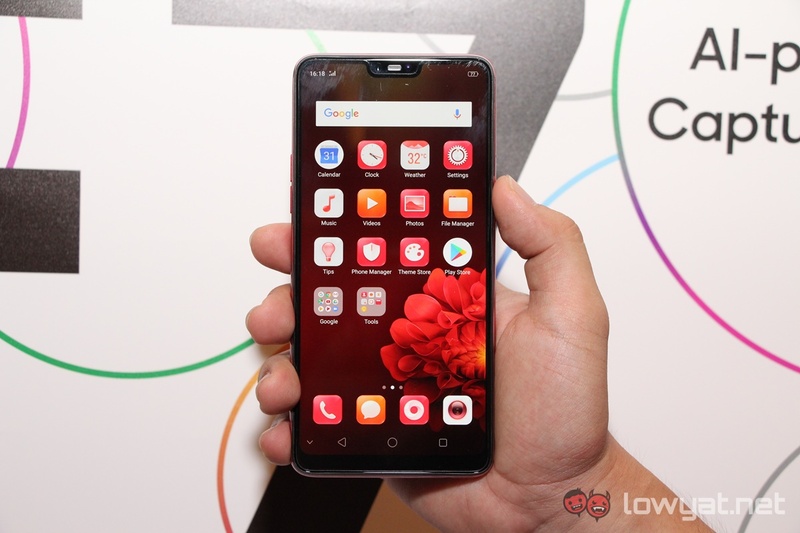 You are able to pre-order the new phone until 27 April through OPPO Malaysia’s own online store as well as the company’s official stores on Lazada, 11street, and Shopee. Alternatively, the OPPO F7128GB can also pre-ordered through OPPO Concept Stores and authorized dealers nationwide.